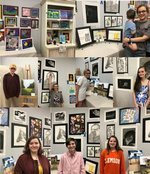 The Newberry County School District Student Art Show opened on Thursday, March 14 at Newberry Arts Center. Fifteen MCHS student artworks were on exhibit and three students received special recognition. 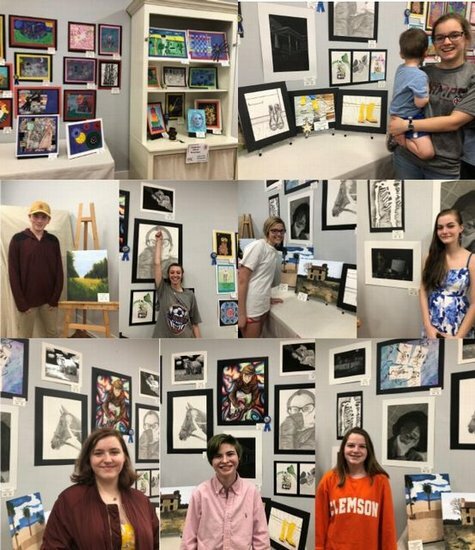 Oliver Alewine received the Superintendent’s Award Ribbon, Kaela Chapman received Honorable Mention, and Natalie Schnackenberg received “Excellence in Art” Recognition from Newberry Arts Center. All student work will remain on display until April 2nd. Congratulations to all of these hard working art students!